Summer is already on the prowl and we are gearing up to beat its heat. Fashionable comfort wear tops our list, and we found some real good picks at the Suti store in Shakespeare Sarani. It's no rocket science, but Suti has clothes that are made only from cotton. You don't have to be Sherlock to know how comfortable cotton can be for our sultry humid weather, but Suti's beautiful prints and cuts are making us swipe our cards. A Jaipur-based brand that specialises in women's fashion, Suti was started in 2004, and since then it has opened shop all across the country. 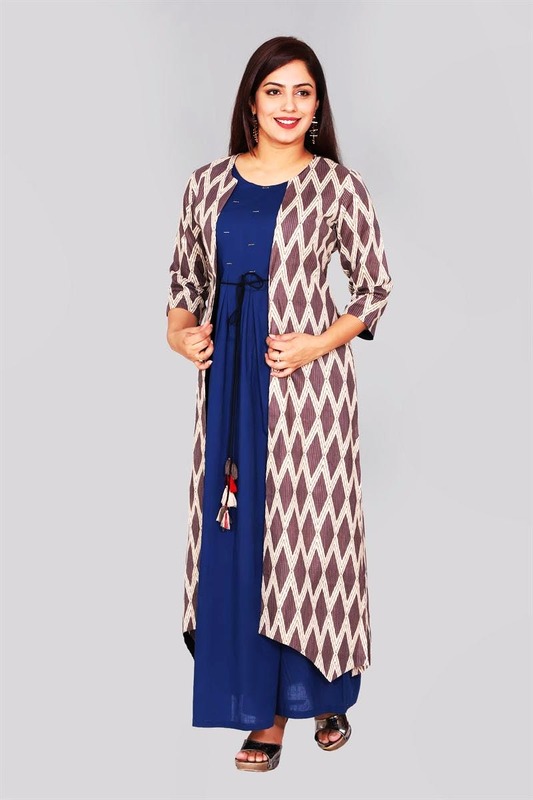 Kurtas, tunics, tops, shirts, maxis - they have everything that you need for your closet. Their is a more traditional chic collection that uses smart cuts and drapes to give it a contemporary finish. Muted colours to bright tones, Ajrak prints to Bagru - Jaipur's rich tradition of prints and dyes reflect in their collection. They also have cotton legging, capris, churidars and palazzos to complement your tops. For your layered look, you can try their flowy shrugs and jackets to hide from the sun without melting. Prices of their clothes start at INR 990 (tops) and can go upto INR 5,000 (salwar suits). Suti has two stores here in the city. One in Shakespeare Sarani and other is in Howrah.